Julio Gutierrez of Summer Rain works to update the sprinker system the company donated and maintains in the Gospel Garden. Margaret Roscoe plants in the Gospel Garden, which is located behind St. Mark's Episcopal Church. 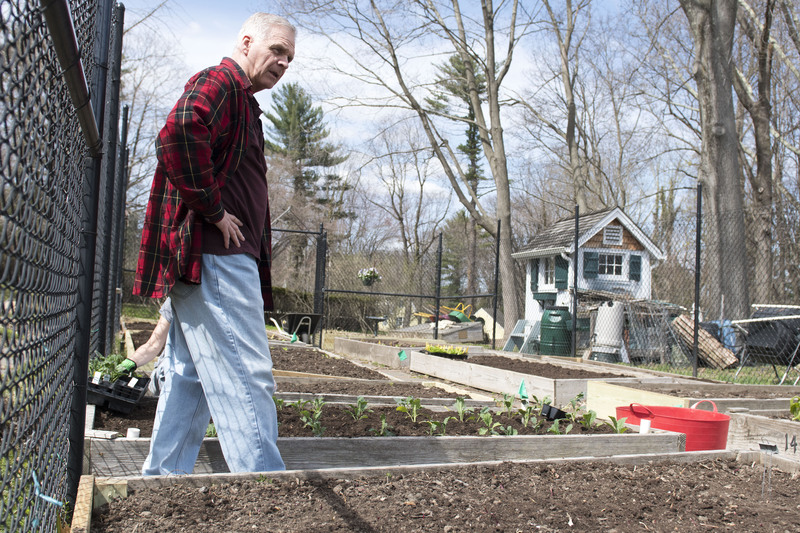 Roscoe is one of four key volunteers who oversee the operation of the garden, which supplies the New Canaan Food Pantry. Bob Bouton eyes the Gospel Garden, which is located behind St. Mark's Episcopal Church. 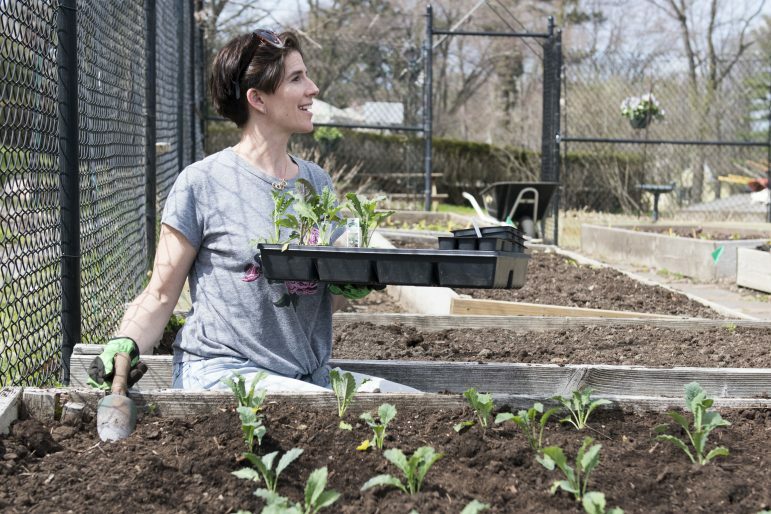 Bouton is one of four key volunteers who oversee the operation of the garden, which supplies the New Canaan Food Pantry. 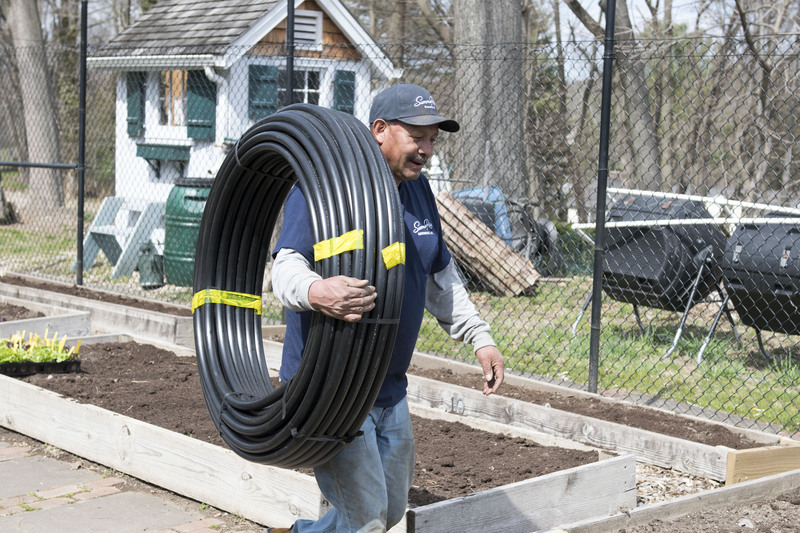 Salvador Vega digs in the Gospel Garden behind St. Mark's Episcopal Church, where he and a crew from Summer Rain maintain the sprinkler system which the company donated and installed since the garden's initial planting ten years ago. Bob Bouton and Margaret Roscoe talk logistics in the Gospel Garden, which is located behind St. Mark's Episcopal Church. 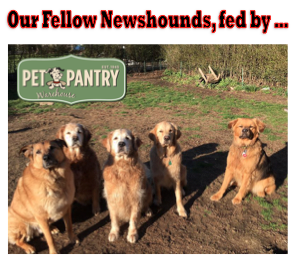 Bouton and Roscoe are two of four key volunteers who oversee the operation of the garden, which supplies the New Canaan Food Pantry. 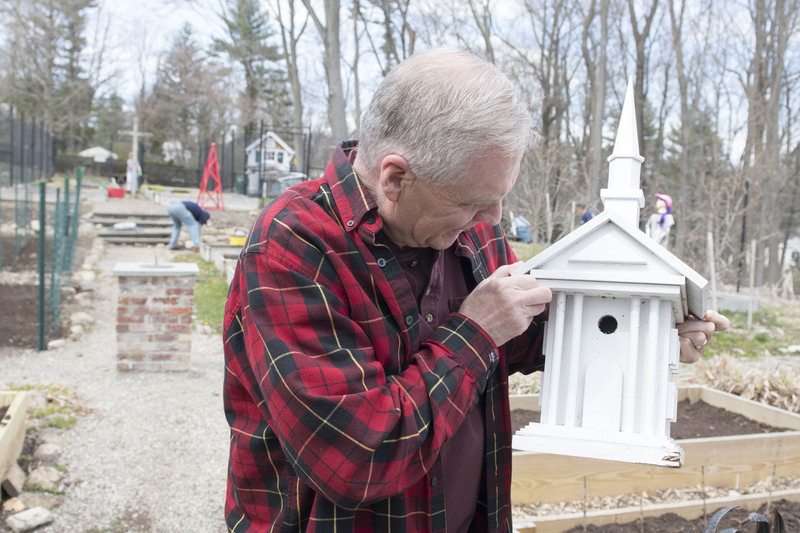 Bob Bouton spruces up a birdhouse in the Gospel Garden, which is located behind St. Mark's Episcopal Church. Bouton is one of four key volunteers who oversee the operation of the garden, which supplies the New Canaan Food Pantry. 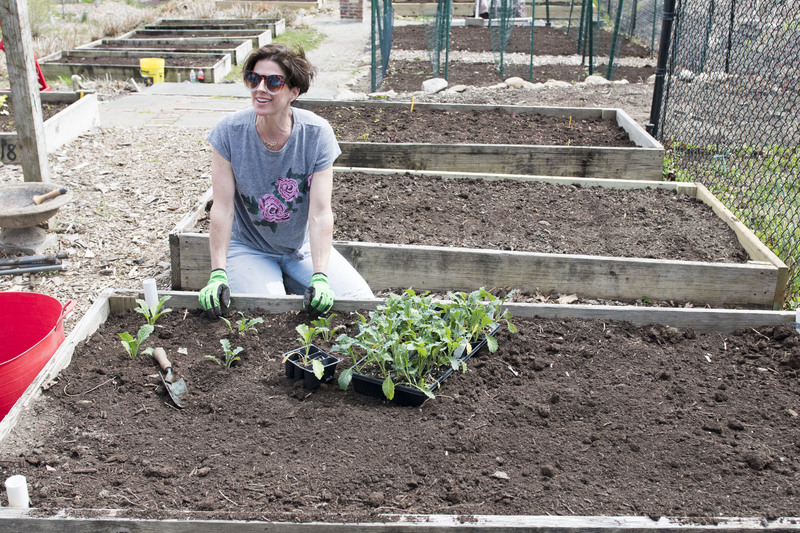 Margaret Roscoe plants the newly tilled beds in the Gospel Garden behind St. Mark's Episcopal Church. The bounty from the garden goes to the New Canaan Food Pantry and Person-to-Person. Margaret Roscoe plants the newly tilled beds asn a crew from Summer Rain installs sprinkler systems in the Gospel Garden behind St. Mark's Episcopal Church. The bounty from the garden goes to the New Canaan Food Pantry and Person-to-Person. Before the Rev. 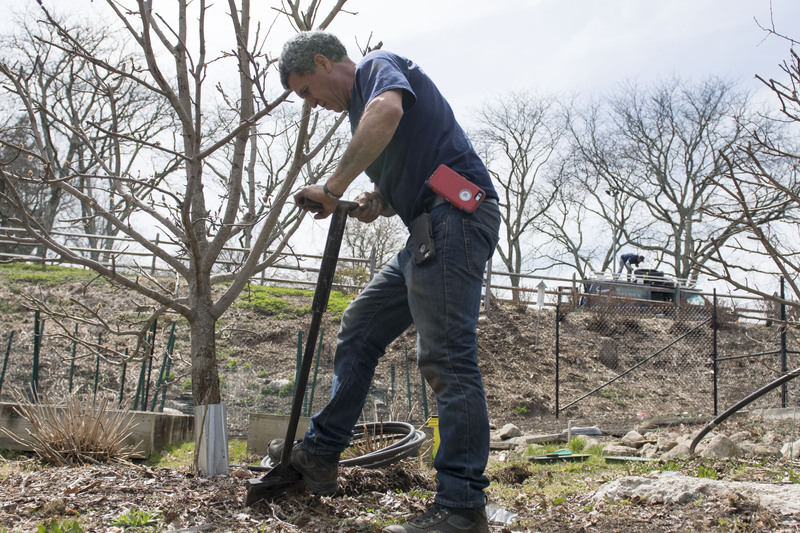 Peter Walsh could process parishioner Brian Hollstein’s pitch to build a garden behind St. Mark’s Episcopal Church, the crews were in the lot and the land was being cleared. It had been less than a day since Hollstein proposed his plan. Walsh liked the idea, so rather than think too much about the logistics, he surrendered and held on for the ride. “The garden has been fruitful in terms of community by being a place where people who wanted to be part of a good thing could collaborate and execute on that desire,” he said. As it marks its 10-year anniversary this year, the garden yields 2,000 pounds of produce for the New Canaan Food Pantry and Person-to-Person, and has emerged in many ways as a tangible reflection of the church and wider community. The effort started with the materials, and through the years generous local businesses have contributed in various ways: Weed & Duryea has delivered lumber for the beds, Renaissance Partners sent carpenters to build them, Gannon Rustic Fences recently built a border, Summer Rain installed a sprinkler system, Copia Home and Garden has provided the plants and soil, Hutchinson Tree Care sent wood chips. Then the gardeners came as the Boy Scouts, Girl Scouts, STAR and several other local organizations sent crews. Kids were drawn to help out and an internship program developed: The garden is now staffed by a paid intern who oversees volunteers day-to-day. The Gospel Garden, so named soon after tilling started, has expanded as demand has risen over the years. Its development has been supported by grants from organizations that include the New Canaan Community Foundation, the Rotary Club, St. Mark’s Outreach Commission and private family foundations. With that growth has come a learning curve, according to those who know the garden best. 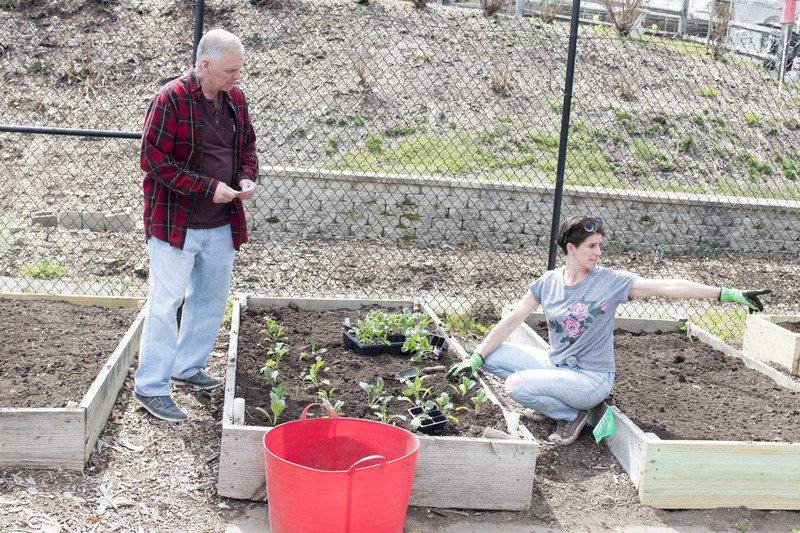 “Experimental crops do not really work,” said Margaret Roscoe, a New Canaanite and St. Mark’s parishioner who works with a team of three others including Hollstein in overseeing the garden operation today. 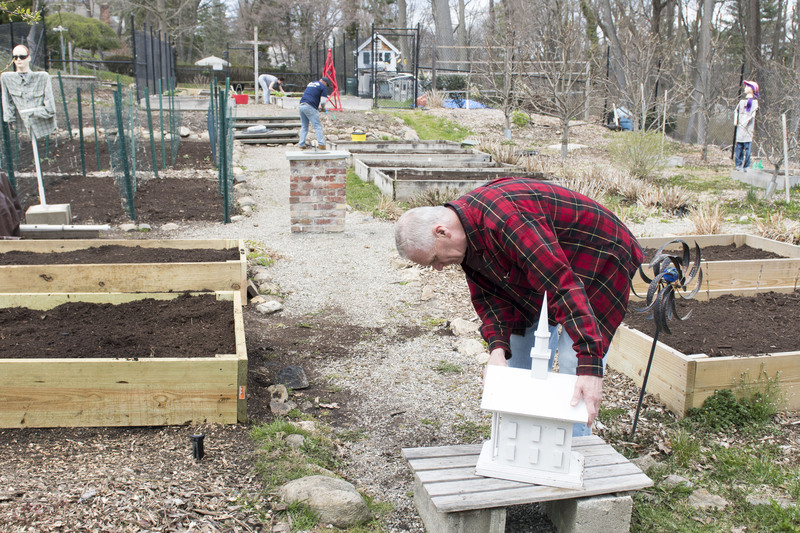 As the garden has expanded, community members reliant on the Food Pantry have weighed in. 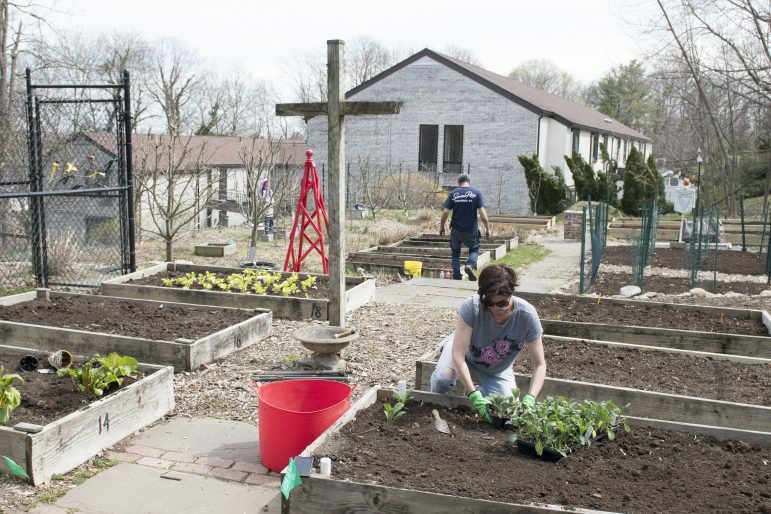 The success of the Gospel Garden has given rise to Gospel Garden Givers, an initiative spearheaded by Roscoe that looks to take advantage of the surplus people have in their home gardens. When Walsh looks at the Gospel Garden today, he is still in awe of how Hollstein’s vision embodied the central theme in their shared faith. To join the Gospel Garden team or to become a Gospel Garden Giver, contact Margaret Roscoe at (917) 455-7949. So great to see the community giving back – we were excited to be a small part of the much larger effort!